We are thrilled for the opportunity to assist you on your path to wellness! 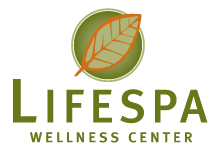 Lifespa Wellness Center is a team of talented bodywork professionals with a passion for wellness of the mind, body and spirit. Using natural and organic products and traditional healing modalities, we have created exclusive personalized therapies designed to restore, balance & inspire. We invite you to experience our unique offerings and the beautiful surroundings that we are so grateful to offer. We look forward to seeing you soon! Reserve Your Next Session Online!